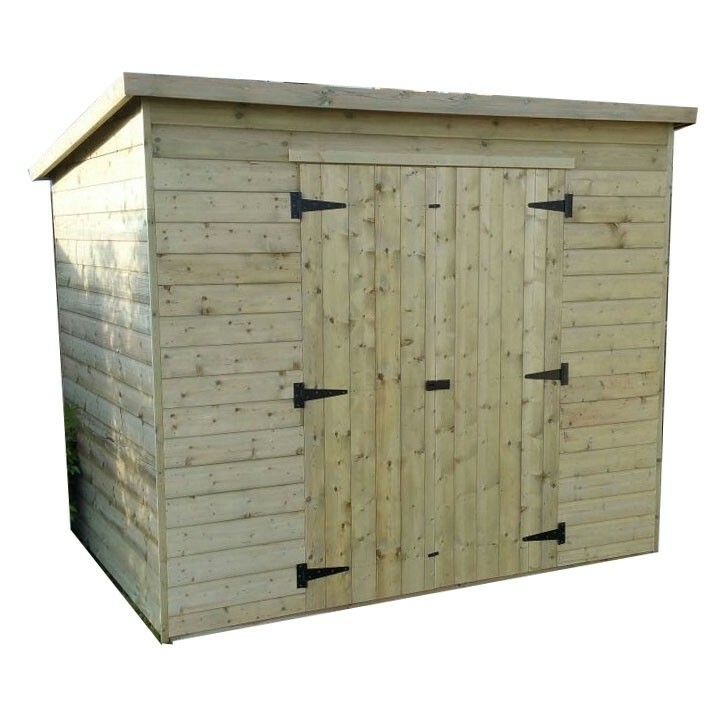 This pent shed has double front doors and comes without windows. The floor, roof, sides, front and back are manufactured from tongued and grooved timber cladding. 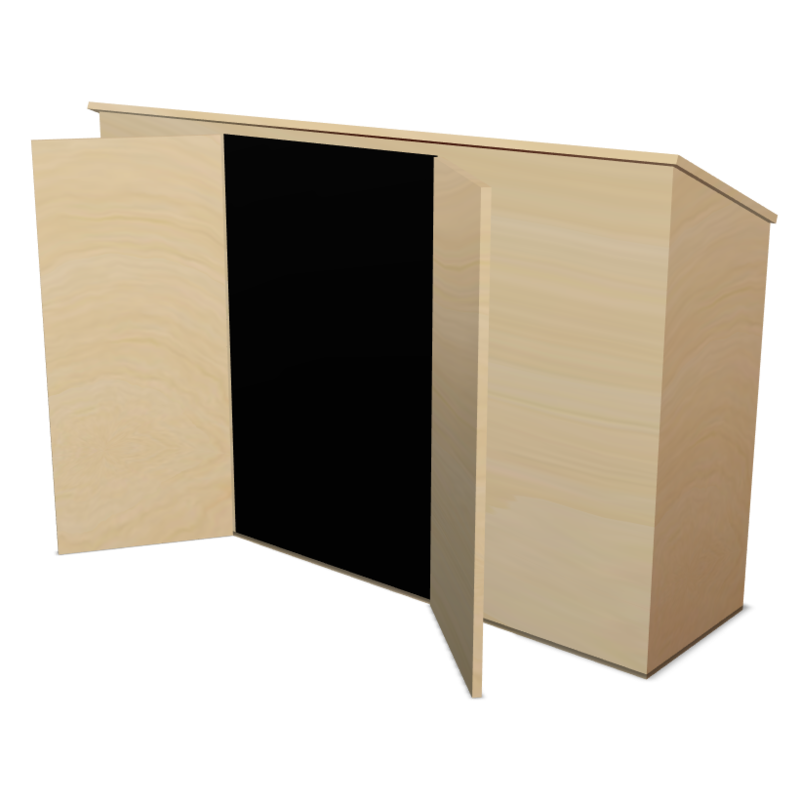 These sheds are great at storing larger items such as adult bikes where a larger door opening is required. The floor, roof, sides, front and back are manufactured from tongued and grooved timber cladding. The timber cladding is a 16mm board and when processed the finished product is no less than 12mm thick. The timber is pressure treated and has a guarantee of up to 15 years against rot and decay. All of the framework is planed and pressure treated. Fixings and Roof felt supplied. Standard delivery on average is within 6 working days depending on the item ordered.